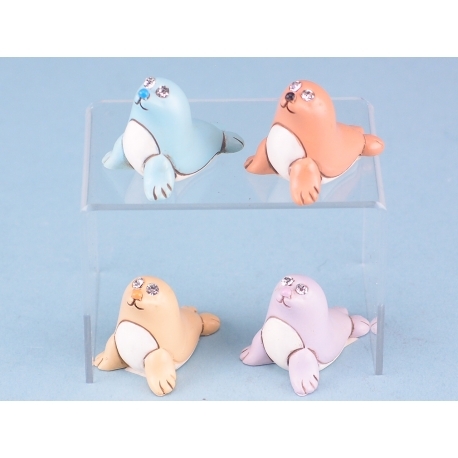 Seals are a common sight on coastlines throughout the world and now you too can marvel at the sight of these charming creatures with these Mini Colourful Seals. Measuring just 3cm each, these ornaments are sure to earn your customers’ seal of approval. 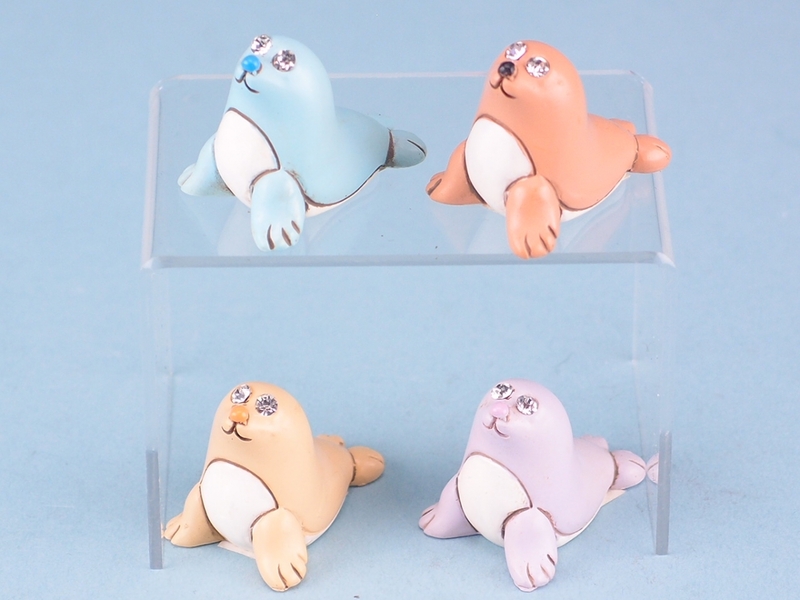 Available in four distinctive colours – light blue, orange, yellow and pink – each seal is showcased in an upright position. The eyes feature decorative stones that add a unique quality and each seal has been painstakingly hand-painted to ensure a premium quality. These ornaments are sure to make a fun addition to any home.